In the wake of the murder of Washington Post columnist Jamal Khashoggi, President Trump released a statement Tuesday morning about the way forward with Saudi Arabia. "The crime against Jamal Khashoggi was a terrible one, and one that our country does not condone. Indeed, we have taken strong action against those already known to have participated in the murder. After great independent research, we now know many details of this horrible crime. We have already sanctioned 17 Saudis known to have been involved in the murder of Mr. Khashoggi, and the disposal of his body," Trump said. "Representatives of Saudi Arabia say that Jamal Khashoggi was an 'enemy of the state' and a member of the Muslim Brotherhood, but my decision is in no way based on that – this is an unacceptable and horrible crime." President Trump addressed the assessment from the CIA that Crown Prince Mohammad bin Salman directly ordered Khashoggi's murder. He also made it clear his administration has no plans to alter the relationship with Saudi Arabia as the existential threat from Iran continues. "King Salman and Crown Prince Mohammad bin Salman vigorously deny any knowledge of the planning or execution of the murder of Mr. Khashoggi. Our intelligence agencies continue to assess all information, but it could very well be that the Crown Prince had knowledge of this tragic event – maybe he did and maybe he didn’t!" he continued. "We may never know all of the facts surrounding the murder of Mr. Jamal Khashoggi. In any case, our relationship is with the Kingdom of Saudi Arabia. They have been a great ally in our very important fight against Iran. The United States intends to remain a steadfast partner of Saudi Arabia to ensure the interests of our country, Israel and all other partners in the region. It is our paramount goal to fully eliminate the threat of terrorism throughout the world!" In addition to national security issues, President Trump cited the extensive economic ties between the U.S. and Saudi Arabia as another reason to continue with the status quo, rather than issue additional punishment. He also urged Congress to come up with new options surrounding the U.S. relationship with Saudi Arabia. "I understand there are members of Congress who, for political or other reasons, would like to go in a different direction - and they are free to do so. I will consider whatever ideas are presented to me, but only if they are consistent with the absolute security and safety of America," he said. Over the past three weeks, the State Department revoked travel privileges to the United States from a number of officials tied to Khashoggi's murder. 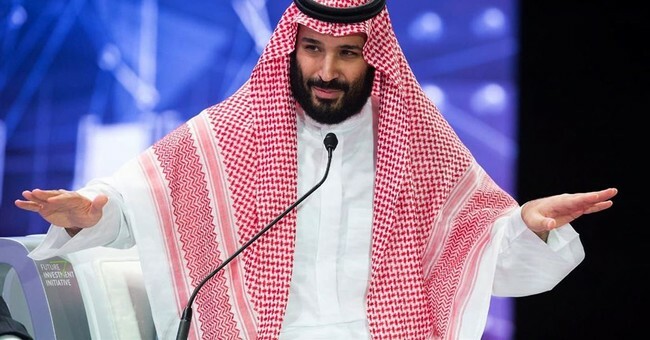 The men who carried out the crime have been charged with the death penalty by Prince Bin Salman.